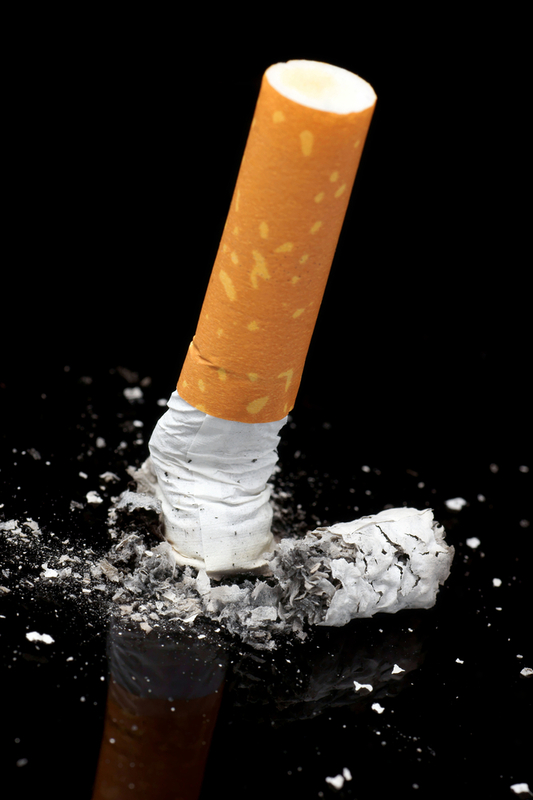 How Much Will Quitting Smoking Help Your Teeth? Cleaner, brighter teeth: smoking is one of the leading causes of tooth discolouration due to the presence of chemicals such as tar in cigarettes. If you quit, you can reduce the risk of further staining and look forward to a brighter, cleaner smile. Fresher breath: smoking is a common cause of bad breath. If you’re self-conscious about your breath or you’re keen to make a positive first impression when you meet people for the first time, giving up smoking is an incredibly positive step. 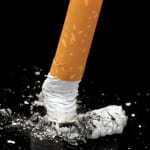 Lower risk of gum disease: smoking reduces blood flow, which increases the risk of gum disease. By giving up smoking, you can lower your risk of gum disease and improve your body’s ability to heal after treatment. Reduced oral cancer risk: smoking is the most significant risk factor for oral cancer, a type of cancer that has become increasingly common in the UK over the course of the last decade. Smoking is particularly dangerous when combined with drinking alcohol. If you drink frequently and smoke, you’re more than 30 times more likely to develop mouth cancer than non-smokers who don’t drink. Giving up smoking is not easy, but it does bring incredible benefits for your teeth and gums, as well as your general health. If you’re thinking of trying to quit, we can help, so give us a call now! Do you feel the need for speed when it comes to wearing braces? Many of our patients come in looking for the fastest solution for crooked, crowded and wonky teeth. The good news is that modern treatments offer a rapid alternative to traditional braces. With appliances like the Inman Aligner, we can deliver results in weeks, rather than years. 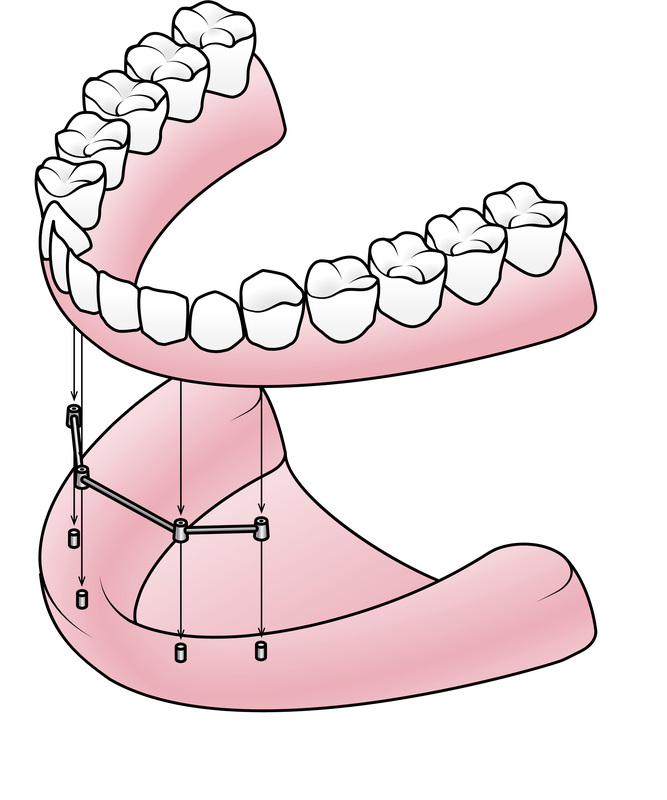 The Inman Aligner is a removable brace, which was developed in the USA. This revolutionary device offers a discreet, swift alternative to traditional fixed braces for patients who have minor issues that require limited movement. The aim of the aligner is to straighten the front teeth. This is an ideal option for those who have slightly crooked front teeth or small gaps between the front teeth. 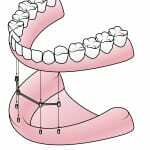 The Inman Aligner is a removable tray-shaped brace, which fits over the top of the teeth. It is transparent, but it has visible parts, including a metal bar, which runs along the front teeth. The aligner has two nickel coiled springs, which generate forces, causing the teeth to move into the correct position. There is one spring at either side of the brace. The forces that are produced by the component parts are gentle, but they produce a lot of movement, and this is why this treatment achieves results so quickly. Every patient is different, but most cases can be completed within 16 weeks. In some cases, you may only need to wear your brace for 6 weeks. We recommend wearing the aligner for around 20 hours per day for the best results. If you like the sound of the Inman Aligner and you’re wondering if it could be a good match for you, why not pop in and see us or give us a ring and book a consultation? Root canal treatment is a much maligned treatment, but the truth of the matter is that this procedure can save your teeth. Many people are fearful of root canal therapy because they assume that it’s going to be painful, but treatment is carried out under local anaesthetic, so you won’t feel any pain. Root canal treatment is a procedure, which is used to treat infected and damaged teeth. 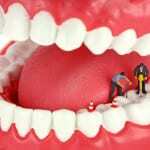 The aim of the procedure is to remove decayed or damaged tissue from the tooth once the pulp has been infected. The pulp is the tooth’s living tissue and once it is damaged, the tooth starts to die, as blood flow is reduced. At this stage, there’s a risk of infection spreading further, and the tooth will eventually become rotten. 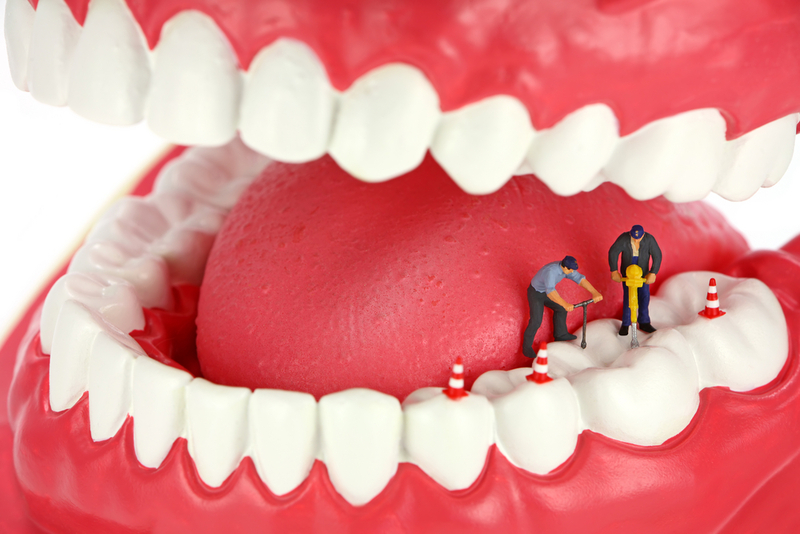 To avoid extraction, your dentist may recommend root canal treatment. Before your dentist starts the procedure, they will numb the tooth to prevent you from feeling any pain. Once the anaesthetic has taken effect, your dentist will drill into the tooth to access the root canals. Any decayed or damaged pulp tissue will be removed, and the canals will be cleaned and then stuffed with material known as gutta percha. This seals the root canals and reduces the risk of further infection. After root canal treatment, your dentist may recommend placing a new crown on the tooth to make it stronger and more resistant to damage. Initially, a temporary crown may be used, and this will be replaced by a permanent crown around 2 weeks later. We can use ceramics to make the crown, so you won’t be able to tell the difference between the crown and the rest of the natural tooth structure. If you’re nervous about having root canal treatment or you’d like to find out more about the procedure and how it could benefit you, our dental team will be happy to help. Modern dentistry never ceases to amaze our patients and one service that never fails to impress is same-day tooth replacement. Did you know that we can replace a full set of teeth in just one day? If you’re missing your natural teeth or you’re looking for an alternative to traditional dentures, All-on-4 could be the solution you’ve been waiting for. All-on-4 is a same-day implant system, which enables us to replace an entire set of teeth in a single day. This system utilises four implants to secure a full arch of teeth. Two implants are placed at the back of the mouth and two sit at the front. Traditionally, the implants are placed at a 90-degree angle, but with All-n-4 the implants are the rear of the jaw are placed at a 45-degree angle. The placement of the implants takes full advantage of the strongest bone tissue in the jaw and enhances the functionality of the denture. Usually, implant treatment takes several months, but All-on-4 patients can benefit from instant results, as the new teeth can be fitted on the same day as the dental implants. Is All-on-4 the right choice for me? If you’ve experienced problems with dentures in the past or you have a large number of missing teeth and you’re looking for an instant solution, which will provide you with a healthy, natural looking smile for many years to come, All-on-4 could be an excellent choice for you. To find out if this is a good treatment option for you, we recommend booking a consultation. This is an informal appointment, which gives our dentists a chance to have a look at your mouth and ascertain whether this could be a solution worth considering. It also gives you the opportunity to ask questions and learn more about the system and what treatment entails. Brush twice a day: when you brush your teeth, you remove bacteria and food debris from your mouth, and this helps to prevent the formation of plaque. Plaque is the most significant cause of decay ad gum disease. For the best results, you should brush twice a day, every day. Set a timer: you may think that you’re doing a good job when it comes to brushing, but have you ever stopped to check that you’re brushing for long enough? Setting a timer is a great way of making sure that you brush for the recommended 2-minute period every time. Floss: flossing is really important because it cleans the parts of your mouth that you can’t reach with a brush. 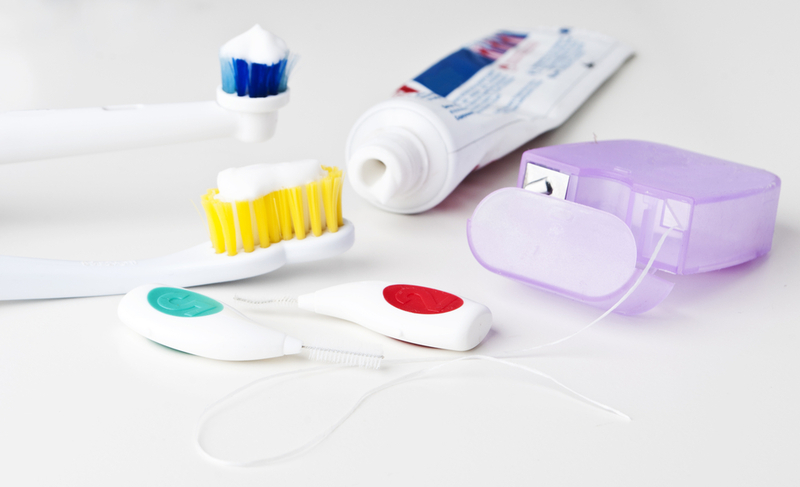 When you floss, you can dislodge debris and bacteria from the tiny cracks between your teeth, reducing the risk of plaque formation. Use fluoride toothpaste: fluoride is a mineral, which has benefits for your oral health because it helps to protect your enamel. Swap your toothbrush: if you’ve been using the same toothbrush for as long as you can remember, it’s time to invest in a new brush or brush head if you have an electric toothbrush. 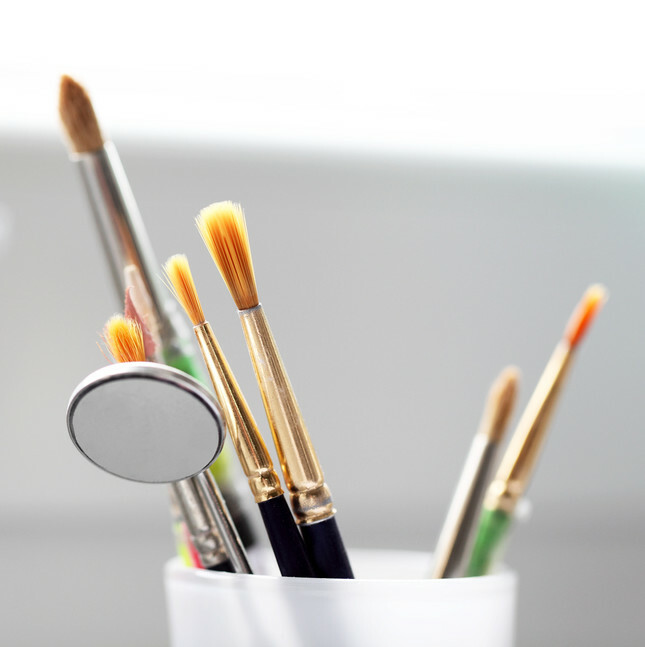 Ideally, you should swap your brush every 3-4 months. If you’re keen to brush up on dental hygiene, we’re here to help, so don’t hesitate to get in touch if you need advice or brushing or flossing tips. Which Discreet Teeth Straightening Solution is Right For You? Most of us are concerned about our image. At City Dental Leeds, we understand that many of our patients are apprehensive about having braces because of the way they look. The good news is that braces don’t have to look unsightly anymore. If you thought you’d be lumbered with bulky metal train-tracks, think again! We have a host of discreet solutions ready and waiting to give you a beautiful smile with minimal hassle. We are delighted to have a wide range of options available for our patients. While it’s good to have a choice, we understand that some patients may feel confused when it comes to choosing the right treatment. This is where our expert dentists come in handy. Our dentists have many years of experience, and they can talk you through the options and make recommendations based on your orthodontic prescription, the type of treatment that would benefit you most, and your preferences. Invisalign: Invisalign is a clear aligner system, which utilises a series of bespoke, removable braces to align the teeth. These braces are made from transparent plastic, and they are virtually undetectable when they are in position. 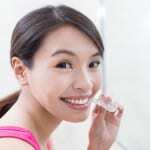 Invisalign is generally recommended for patients with minor or moderate orthodontic issues. 6 Month Smiles: fixed braces provide more stability than removable braces. Six Month Smiles is a discreet fixed brace system, which enables you to enjoy the benefits of fixed braces without having to wear appliances that are highly visible. These braces, which target imperfections that affect the front teeth, are made from clear brackets and tooth-coloured wires. They produce results in just 6 months. STb Social 6: STB Social 6 is a lingual brace system, which offers you the opportunity to undergo treatment in secret. These braces are fixed to the back of the teeth, so they cannot be seen when you smile. This is a treatment that is geared towards patients with minor issues that affect the social 6 (the front six teeth on the top and bottom arches). The average treatment time is just 6-18 weeks. Do you dream of showing off a perfect smile? If so, we have the tools, treatments, and techniques to make your dental dreams come true right here in the heart of Leeds. If your smile needs some TLC, you’ve come to the right place. It’s very rare to have a perfectly formed set of pearly whites and to be able to keep your smile in pristine condition. Although your teeth are strong and robust, the risk of injuries is always a concern, and many of us have worn tooth edges or small chips. If your smile isn’t quite perfect, we can use an amazing technique called dental bonding to carry out minor repairs and make you feel more confident. Dental bonding is also known as cosmetic or composite bonding. Using material called dental composite, your dentist can patch up worn surfaces, build up misshapen edges and fill in chips to provide you with a healthy looking, gorgeous smile. At room temperature, dental composite looks and feels like putty. It comes in several shades, so your dentist can choose a colour that matches your natural teeth perfectly. When your dentist has shaped and moulded the composite to tend to the imperfections, they will ask you to put some goggles on and then they will shine a light onto the composite. This sets the composite, making it hard. Finally, your dentist will carry out last-minute adjustments to ensure a flawless finish. Dental bonding is an affordable, quick and painless cosmetic dental treatment, which can make an incredible difference to the look of your smile. The procedure takes an hour, and you won’t feel a thing! If you’re keen to find out more, call us today! Brush twice a day with fluoride toothpaste: brushing is your best bet when it comes to removing harmful bacteria, which cause gum disease and decay, from your mouth. 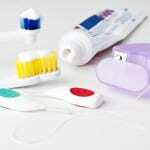 Use fluoride toothpaste, as fluoride helps to strengthen and protect your tooth enamel. Brush in the morning and evening for two minutes each time. Book a dental check every 6 months: if you attend regular check-ups, you’ll reduce your risk of developing decay and gum disease significantly. If you haven’t been to the dentist for the last 6 months, now is the time to get in touch! 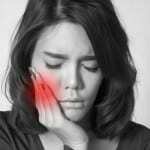 See your dentist if you have pain: if you start to notice pain or you experience heightened sensitivity, see your dentist. Don’t wait until your next check-up. 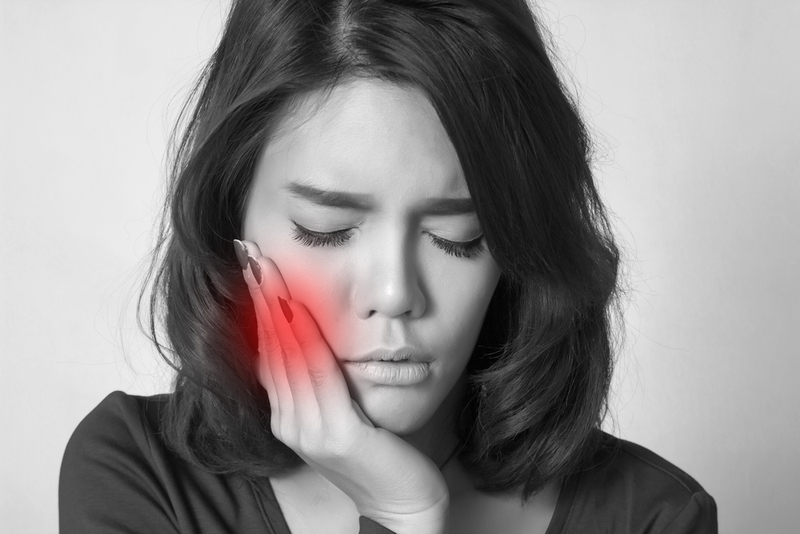 Pain is often a sign of a cavity or an infection, so it’s best to get checked out. Avoid snacking: when you eat, the bacteria in your mouth release acids, which weaken your enamel on a temporary basis. 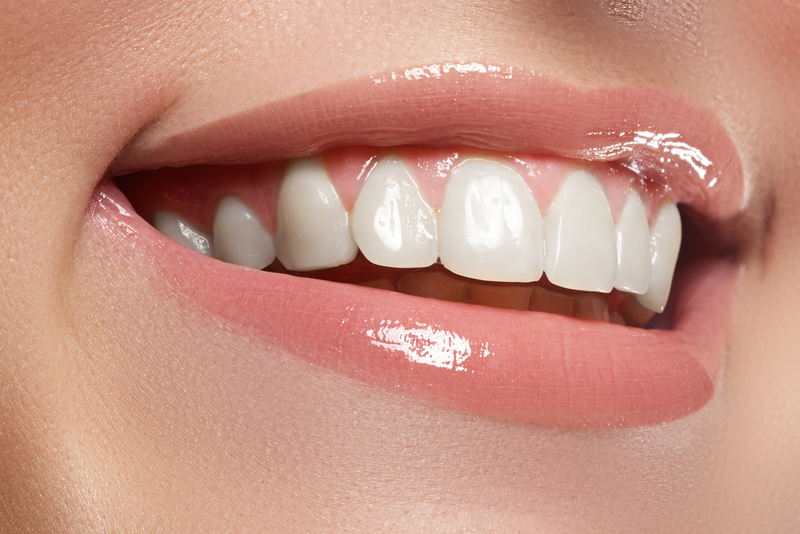 Your enamel can only resist a limited number of acid attacks, so if you’re grazing throughout the day, it’s very likely that your enamel will become thin and worn. Stick to 3 meals a day and if you do get hungry, choose sugar-free snacks such as raw vegetables. Keep an eye on your sugar intake: most people know that sugar is bad for the teeth, but have you ever actually worked out how much sugar you consume each day? You may be surprised to find out that you exceed the recommended intake on a regular basis if you don’t pay much attention to food labels. Use an app or a food diary and try and keep below that RDA. You’ve got a gorgeous new, straight smile. The next job is to keep it looking fabulous for as long as possible. If you’ve just had your braces removed, here are 5 ways to protect your newly straightened teeth. Wear a retainer: retainers are orthodontic appliances, which are worn to maintain the new position of the teeth and prevent the teeth from moving once the braces have been taken off. Your dentist will explain how the retainer works and you can usually choose between a fixed or removable retainer. See your dentist: just because you’ve finished your treatment, doesn’t mean that you don’t need to keep in touch with us! We hope to see you for regular check-ups and follow-up appointments to check that everything is perfect and keep an eye on your oral health in general. Brush: oral hygiene is really important for everyone, so we strongly recommend sticking to a good daily cleaning regime at home. Use a mouth guard: if you enjoy sport or you take part in activities like martial arts, we recommend wearing a mouth guard to protect your teeth. Even if you only play from time to time, you never know when an accident may happen and you don’t want your new smile to be ruined. We recommend dentist-made guards, as they provide a perfect fit. Watch your diet: there are some foods that are lot better for your teeth than others. Now that you’ve got the smile of your dreams, you should take good care of it. Try and avoid foods that are very hard, which could damage your teeth, and those that have a low pH value or high sugar content. Dentures can be a wonderful solution for patients with missing teeth, but they can also be problematic. If you’ve had negative experiences with loose or painful dentures, you may be looking for an alternative option. At City Dental Leeds, we pride ourselves on offering the finest treatments out there, and we’re proud to offer dentures as stable as natural teeth. To provide you with dentures that are comfortable, functional, natural looking and stable, we offer denture stabilisation or implant-retained dentures. 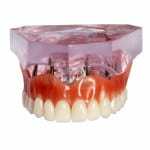 What are implant-retained dentures and how could they benefit me? 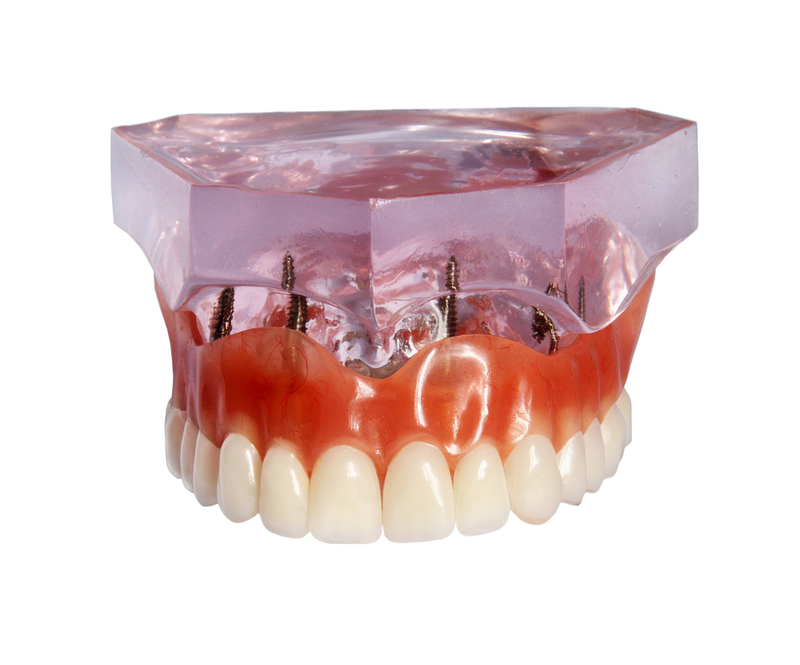 Implant-retained dentures are prosthetic dentures that are secured in place by dental implants. Implants are small titanium devices, which are designed to integrate into the bone tissue and take on the role of the missing tooth root. When an implant is in place, it provides the new tooth with the same level of support and stability as a natural, healthy tooth root. There’s no risk of a denture slipping or becoming loose, which gives you peace of mind and enables you to enjoy enhanced bite power. You can eat what you like, and you don’t ever have to worry that your denture will cause irritation or sore spots. We can use a system called All-on-4 to provide same-day smiles or we can anchor dentures using mini dental implants or standard implants. To support the implant, there has to be dense tissue available in the jaw bone. If the tissue is too weak or shallow, mini implants may be recommended, rather than traditional implants. As they are shorter, they are easier to tolerate. All-on-4 is a system that is designed for instant results, and it takes a single day, rather than several months. If you would like to find out more about implant-retained dentures, call us today and make an appointment. Our friendly dentists will be happy to answer all your questions.